An UAC has formed in the bay today,(link here). "Vagaries" estimate, and insistance, of 21st. has been proved right. 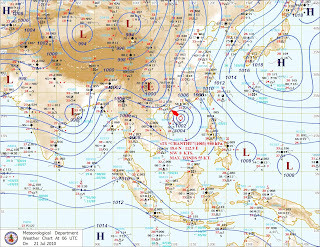 Well, I would put the system as almost a low at MSLP, as seen in this Thai map. region.Strong south-westerlies are blowing on the coast.and should continue. Some of the heaviest rains along the Goa/Maharashtra coast as on Wednesday in cms were: Mapusa-24, Sangamneshwar-21, Kodinar-17, Dodamarg, Gaganbawda, Margao, Pernem-15 each, Dapoli-14, Valpoi, Sanguem, Guhaghar, Ratnagiri, Lanja-13 each, Quepem-12, Malvan, Sawantwadi, Chiplun-11 each. And the good news ! Reports from Shiraz speak of the Mahableshwar lake overflowing today evening, but about 20 days behind the normally late June overflowing date. Consistent rainfall from Mahableshwar reported 77 mms last night, and about the same in the day today. Mumbai too, recieved good rains throughout the day on Wednesday. Should reach our estimated figure of 75 mms by tonite. Colaba had measured 66 mms till late evening (8.30 pm), and S'Cruz gauged up 50 mms in the same period.Thursday and Friday will have consistent frequent periods of rains, with a higher rain intensity on Thursday night.Watch for flooding Thursday night. Current 3 days may accumalate rains upto 150-175 mms in Mumbai. Thanks for the information. May be a dumb question, whats the meaning of UAC? 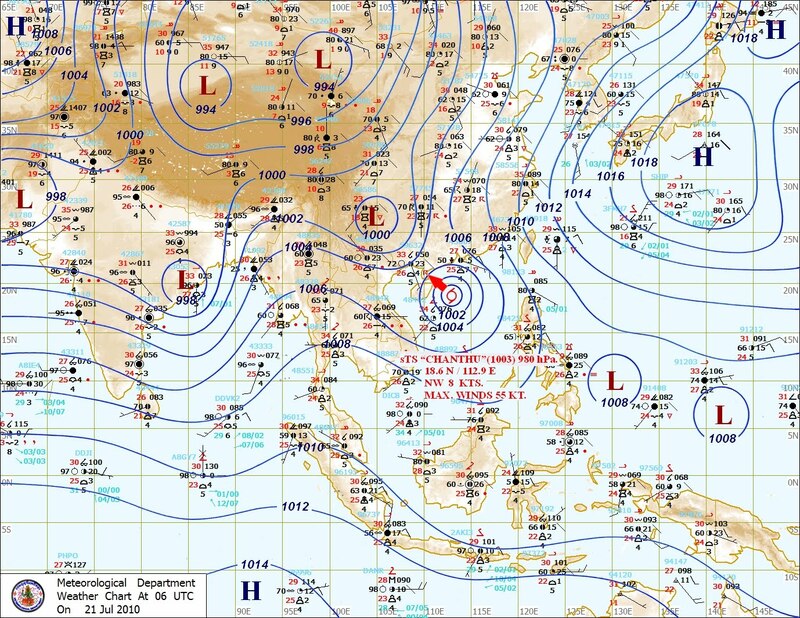 upper air cyclonic circulation , am i right Rajesh ?